Had to break my apartment mailbox lock open after the key broke. Been looking and no where seems to have a lock that small. 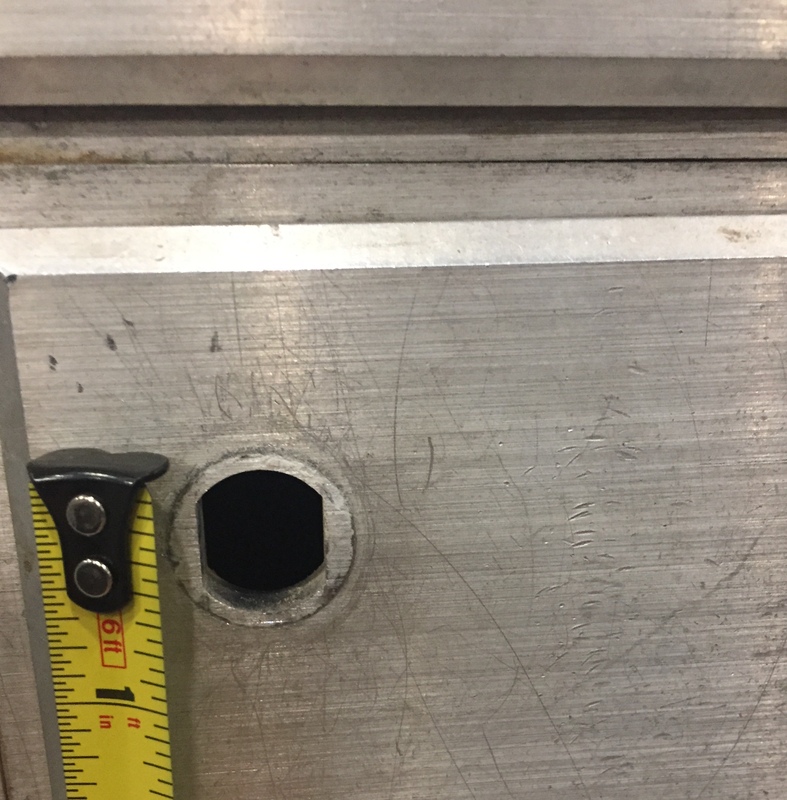 How can I enlarge the current hole? Please let me know how this is often done and what I need to do it. I would search for "mailbox locks" on your favorite search engine and don't forget to go on line and check at Home Depot, Lowes and Ace Hardware. They have locks that may replace the lock you had to remove. Lastly, look on the box for a name. If you find a name contact them for their recommendation. How did someone break into this safe? How can I secure an outwardly opening front door without damaging anything?